Protect your precious pout throughout the seasons with the Burt’s Bees Beeswax Lip Balm Tube. This lip reviver promises to restore and maintain a hard working mush! Fill your beauty-boots with some Burt’s Bees skincare magic with this Burt’s Bees Beeswax Lip Balm Tube.Containing impressive amounts of coconut, beeswax and sunflower oil, this soothing and cooling lip balm will have you gliding into lustrous lip heaven. It is a minty one, so smell well. not too oily. one of the best lipbalm I've ever tried, it really moisturize my lips! A nice, mostly natural and refreshing lip balm for both women or men to use. This seems to heal cracked and sore lips during the cold winter months, and smells amazing when you first pop open the tube. Sadly, after a few days of use, the smell seems to disappear, but the balm still feels lovely on your lips. Highly recommended product. 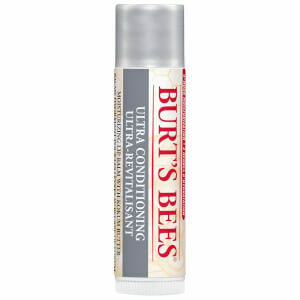 This Burt's Bees Beeswax Lip Balm Tube is a good balm that gives a pleasant, minty taste on your lips. The only negative is it is very dense. A perfect lip balm for basic everyday care. Keeps the lips feel good and comfortable, they are so soft, as you expect them to be. It smells of honey, not sugar or candy or something like that - the smell is natural and not very sweet. This balm does not add gloss effect, so can be used by men and children, I think. And it does not make this awful heavy or sticky feeling on the lips!